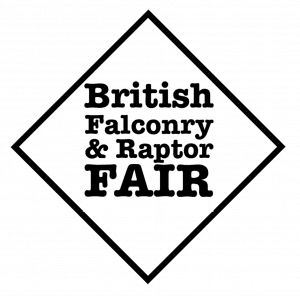 The British Falconry Fair was first held to huge acclaim at the National Centre for Birds of Prey in May 2017. Many thanks to all our visitors, demonstrators, and exhibitors. So we are going to do it all over again in 2019!!! On 29 & 30 June to be exact. It appears that the Duncombe Park fair will be the only fair dedicated to falconers and falconry in 2019. Accept no imitations! 2019 sees the Fair remaining at its 2017 and 2018 venue – the grounds of the fantastic National Centre for Birds of Prey, Duncombe Park in north Yorkshire. A world class series of ring events will showcase the very best in flying demonstrations from the best display falconers in the business. Simon Jewit from Stoneycairn Gundogs will return to show us how to train and manage working dogs. Seminars are yet to be announced, but Mark Naguib MRCVS will return to talk about the veterinary aspects of captive raptors. Saturday night will see us lighting the BBQ and keeping the bar open late. Trust me – we know how to hold a BBQ at Duncombe!! It is rumoured that our popular quiz a “Question of Squawk” will be returning again in 2019!!! There an onsite camping area. It’s basic, but right in the heart of things. Please remember – you’ve got to prebook and spaces are limited. However the B&Bs, hotels and campgrounds of Helmsley are just a short walk away. PLEASE NOTE THAT WE ARE A ZOO AND SO NO DOGS CAN BE PERMITTED WITHIN THE FAIR AREA OR CENTRE GROUNDS. DOGS ARE WELCOME IN THE CAMP SITE AND IN THE CAR PARK AND THE SURROUNDING PARKLANDS – BUT PLEASE DON’T LEAVE YOUR DOG IN A HOT CAR!